Without reading a lot of readme files and head scratching, its confusing which Groupshield package you need, and what does what. 2. From within the extracted files run setupsetup.exe > Next > Next. 3. Change Licence expiry type to "Perpetual" (or 1 or 2 year as appropriate) > Tick "I Accept…" OK > Next > Next. Tick "Create Desktop Shortcut" > Next > Finish. 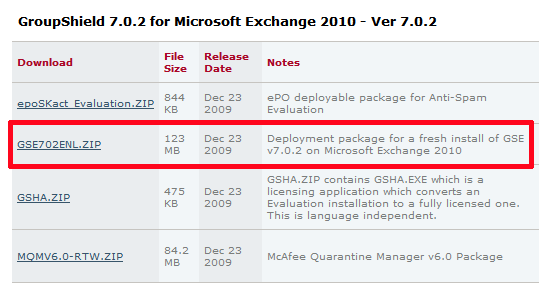 Note: GSHA.zip – Licences a trial version- if you’ve downloaded from the NAI portal your is already licensed. 2. From within the extracted files run gshasl.exe > Next. 3. Change Licence expiry type to "Perpetual" (or 1 or 2 year as appropriate) > Tick "I Accept…" OK > Finish.